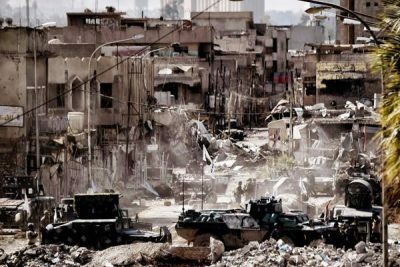 A new investigation shows that President Donald Trump‘s bombing campaign against ISIS (the Islamic State) over several months has already led to nearly as many civilian deaths as those overseen by the Obama White House over several years. According to an Airwars investigation conducted for The Daily Beast, at least 2,300 civilians were killed by coalition strikes from 2015 until the end of Obama’s term earlier this year. But as of July 13, roughly six months into Trump’s presidency, over 2,200 civilians have likely died from coalition strikes. That translates to roughly 80 civilian casualties each month in Iraq and Syria during the Obama White House; during Trump’s short tenure in the White House, it’s been roughly 360 per month. “month after Mattis delivered the new plan, U.S.-led forces likely killed more civilians than in the first 12 months of Coalition strikes—combined,” Oakford writes. Human rights watchdogs, the U.N.-appointed Commission of Inquiry for Syria and Amnesty International among them, have been concerned about the increase in civilian casualties. Arguing about whether or not there was a change in the rules of engagement is not helpful, said Andrea Prasow, deputy Washington director at Human Rights Watch, to Airwars. “The bottom line is more civilians are dying. Whatever the reason, that should concern the U.S. greatly,” she said.